The world along with people of all faiths and those with none reacted with shock and horror at the news that 49 people were killed in a terror attack on two mosques in the New Zealand city of Christchurch. The terrorist attack that appeared to have been carried out by a white nationalist extremist who posted a racist manifesto online and streamed live video of the attacks on Facebook, The New York Times reported. The Times reported that a 28-year-old man from Australia was charged with murder and appeared on March 15 in a Christchurch courtroom. 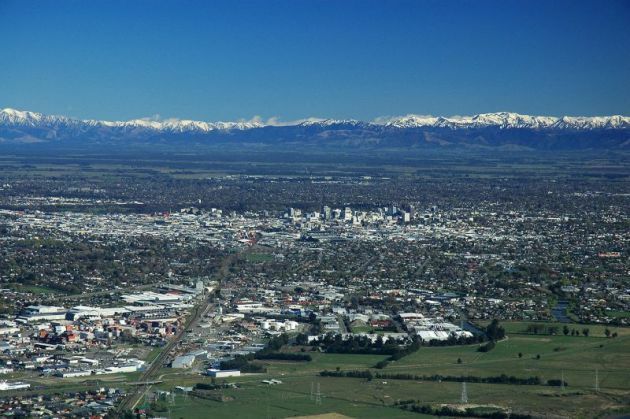 Christchurch is a city of some 400,000 people on the south island of New Zealand famed for its prowess in the sport of rugby, but also for a devestating earthquake in 2011. Court papers identified the suspect killer as Brenton Harrison Tarrant. The New Zealand police said he would face additional charges. The Rev. Ray Coster, a member of the World Council of Churches main governing body, its central committee, from New Zealand said, "We share with sisters and brothers in the wider ecumenical family our pain and grief in one of New Zealand's darkest hours and crave their prayers for the many Muslim families grieving at this time." "Some of these families may be migrants or refugees. They are part of us. Many came seeking refuge and safety as Aotearoa New Zealand is perceived as a safe place." He said that as a nation New Zealand values its compassion, kindness and tolerance. Rev. Olav Fykse Tveit, general secretary of the WCC, stated: "This terrible crime against women, men and children at the time of their prayers is an attack on all believers. He said it is an assault "on the bonds of shared humanity and peaceful coexistence which unite us all. "The WCC stands in solidarity with all Muslims at this time, especially the Muslims of Aotearoa New Zealand, and expresses the strongest possible condemnation of these actions and of the hateful and dangerous ideologies that stand behind them." In a statement, the heads of New Zealand's six Roman Catholic dioceses said they wished the Muslim community to "be aware of our solidarity with you in the face of such violence," Crux News reported. "We are profoundly aware of the positive relationships we have with Islamic people in this land, and we are particularly horrified that this has happened at a place and time of prayer. "We are deeply saddened that people have been killed and injured, and our hearts go out to them, their families and wider community. We wish you to be aware of our solidarity with you in the face of such violence," the bishops said. An ecumenical statement from church leaders in Christchurch and Canterbury said they were "absolutely devastated at the unprecedented situation in Christchurch this afternoon and our hearts and prayers go to all involved." "No religious organization or group deserves to be the target of someone's hate - regardless of beliefs," the statement said. The UN High Commissioner for Refugees, Filippo Grandi, said, "This is deeply shocking. At a time of growing hostility towards diversity, the humanity (that) the authorities and people of New Zealand have shown in their response is truly laudable." Grandi said the UNHCR stands by New Zealand, which he said has generously given refuge to people fleeing conflict and persecution, "and whose citizens warmly welcomed them into their towns and cities". He said the was an attack on the whole nation and its values of inclusion and respect for all its citizens. The WCC's Tviet said, "We affirm to all our Muslim friends and partners that we utterly reject such actions and call on all Christian people to follow in the way of Jesus Christ by seeking to live in peace and respect with all our neighbors, and especially committing ourselves to the protection of vulnerable minorities." In New Zealand Sonny Bill Williams a member of the famed All Blacks New Zealand rugby team, a devout Muslim who converted to Islam in 2008, expressed his deepest sympathies to the victims and their families. "Inshallah (God willing) you guys are all in paradise." "I'm just deeply, deeply saddened that this would happen in New Zealand," he said. The World Evangelical Alliance joined its national member body the New Zealand Christian Network in strongly condemning the tragic attacks on Muslims in two Mosques in Christchurch. The NZCN "has expressed horror and great sadness about the violent attacks today on Muslim people and mosques in Christchurch." Dr. Stuart Lange, a spokesperson of the NZCN called the attack "utterly appalling" and said it "will be deplored by all New Zealand people of all faiths or none." The network urges people to pray for all the families and communities which will be deeply affected, and to offer them support in every way possible. Bishop Efraim Tendero, Secretary General and CEO of the WEA, said: "With this terrorist attacks at Christchurch, we are once again reminded of the intertwined and deadly nature of prejudice and extremism, how it seeks to destroy and sow enmity among peace-loving people and communities. "As followers of Jesus Christ, the Prince of Peace, we condemn such violence and state in the clearest terms that there is no justification whatsoever to commit such a heinous crime against people of any faith or no faith."